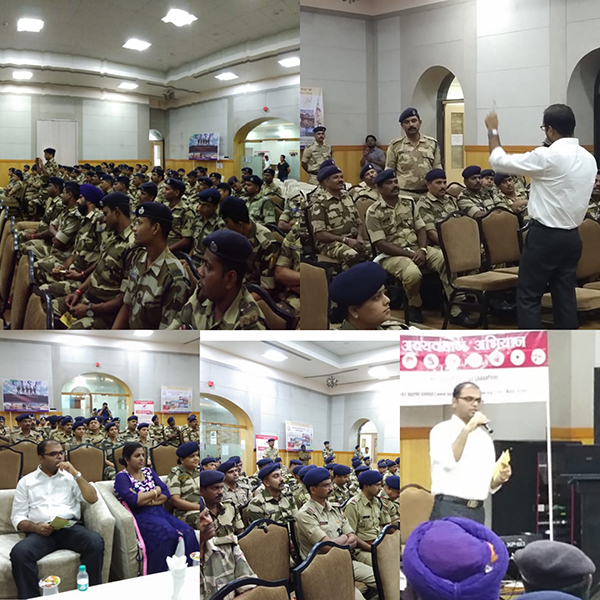 Organ donation awareness programme was organised by Apex kidney foundation and Smt Ruchi Anand (Commandant CISF) at MDRC club Mazagaon dock on 17th July 2018. The Guest speakers for this programme Dr.Ganesh Sanap from Apex kidney foundation. Nearly 100 CISF officers and Jawans have participated in this programme. The main aim for anticipating in this event was to promote awareness about organ donation. For this AKF had distributed pamphlets, leaflets on organ donation. Each member visiting the AKF stall was given wrist bands containing message of “DONATE ORGANS and SAVE LIFE”. Additionally, seekers requesting for more information were provided additional information in a question and answer session.